Azamara offers wines, spirits, and gift certificates for the spa, casino, and onboard bars. Browse Azamara's gift selection here and then fill out their gift order form. Carnival's Funshop has beverages, Dr. Seuss toys, cabin decorations, cruise cash, food and desserts, gift baskets, and much more. Celebrity's selection of onboard gifts includes celebration packages, apparel, culinary delights, gifts and keepsakes, wines and spirts and onboard credit. Costa's gift offerings include a wide range of packages for celebrations, plus a variety of welcome packages. Cunard has a variety of onboard gifts from chocolates to fine wines, along with several welcome and celebration packages. Shop around with Cunard's gift brochure, then call 1-800-728-6273 to order. Disney offers celebration, welcome, and gift packages, plus cruise photos, spa and food credits, food and beverages, wines and spirits, floral arrangements, and of course, plenty of Disney-branded merchandise for the kids. Browse Disney's gift selection on their website, then call 1-800-601-8455 to order, or use their gift order form. Holland America has a variety of celebration, welcome, and spa packages, plus wines and spirits, beverage cards, and other small gifts. View Holland America's selection of gifts here and call 1-800-541-1576 to order by phone. MSC's onboard gift options include celebration and spa packages, plus a variety of beverages and gourmet snacks. Norwegian's selection of onboard gifts includes wine, dining, beverage, romance and party packages, plus gourmet treats, spa gift certificates, onboard credit, and flowers. Oceania offers Bon Voyage packages, plus wine and spirits, floral arrangements, spa certificates, and onboard credit. Browse Oceania's selection with this brochure, then order by calling 1-800-531-5658. Princess has an entire magazine full of great gift options like celebration packages, flowers, wines and spirits, and onboard credit. Order using the form at the end of the brochure or call 1-855-500-7690. Regent Seven Seas offers celebration packages, travel gifts, wines, and chocolates. Browse Regent's selection and order with this brochure. Royal Caribbean's gift catalog includes celebration, welcome, and romance packages, plus floral arrangements, treats, beverages, and other royal caribbean merchandise. Silversea offers spa and dining packages, wines and spirits, chocolates, floral arrangements, and onboard credit. 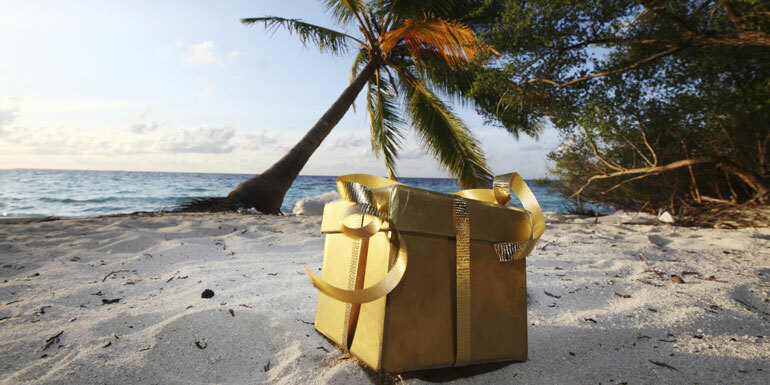 Browse Silversea's onboard gifts and order using this brochure. Viking offers wine, floral arrangements, fruit baskets, chocolates, cake, and onboard credit. Use this form to order gifts from Viking. Windstar has a variety of welcome and celebration packages, plus wine, floral arrangements and onboard credit. Use this form to order gifts from Windstar. What gifts have you received onvboard? Sometimes these packages cost less if ordered before the cruise.